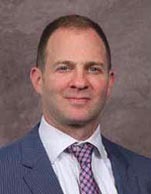 Jon Maier serves as the lead investment strategist for ETFs and has been the Senior Portfolio Manager for the Merrill Lynch ETF Model Portfolios since 2009. As a member of IMG's Portfolio Construction & Management Team, Jon has responsibility for 20 domestic and international ETF portfolios across all asset classes and he also provides guidance to Merrill Lynch Financial Advisors and clients in navigating ETFs. He was previously the senior Closed-End Fund analyst and ETF strategist at BofA Merrill Lynch Global Research. Prior to Merrill Lynch, Jon was with UBS and its predecessor firm PaineWebber covering Closed-End Funds since 1997. Jon also worked on privatization projects as a U.S. Peace Corps volunteer in Kiev, Ukraine, and was a financial analyst with the American International Group. Jon received his BBA degree from Emory University.